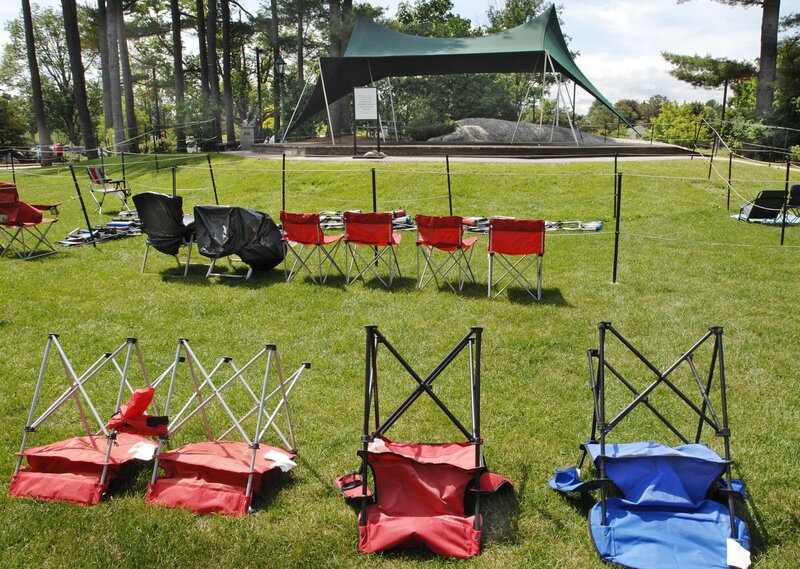 Chairs were reserving spaces early at Discovery Park for L.L. Bean's first free concert of the 2009 summer. 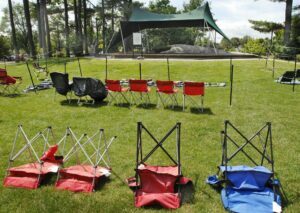 Jack Milton/Staff Photographer: Fifty chairs were already reserving spaces early at Discovery Park for L.L. Bean’s first free concert of the summer on Saturday night.